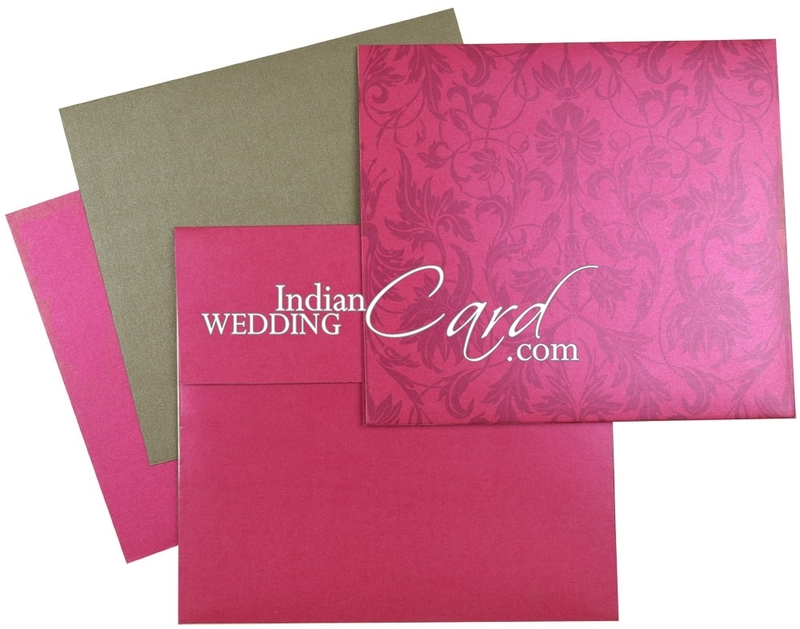 Paper: Magenta shimmer paper (250 gsm) for main card, 1 insert and envelope. 2nd insert in grey shimmer paper (250 gsm). Description: Silver ornamental Bismillah motif adorns the main card. 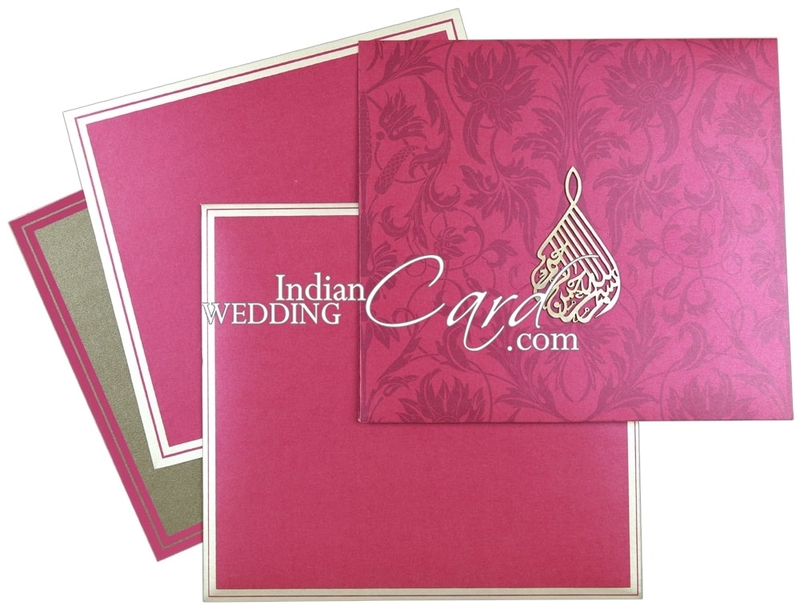 The main card is also beautified with self-color acanthus print. Inserts and envelope have border. Hello I have received the parcel yesterday and am very pleased with the invitations. Thank you.